ArtiClic is an all-in-one application for craftsmen that makes managing quotes, invoices, and customers extremely simple. 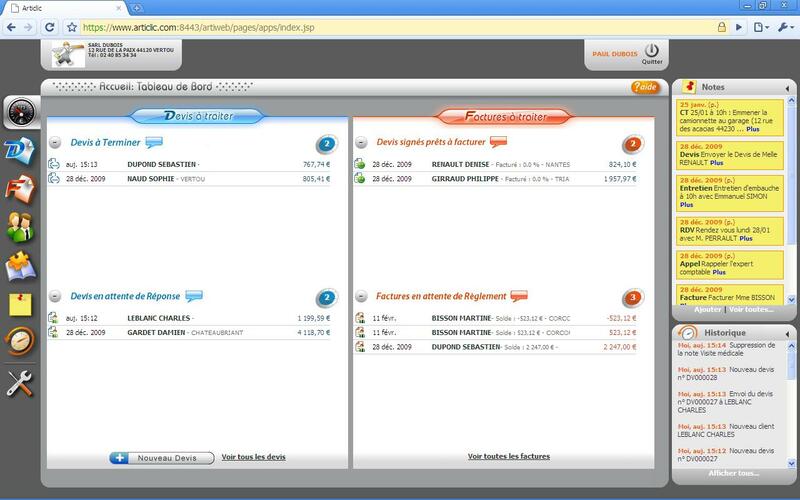 The navigation menu on the left of the screen provides direct access to all the administrative facets of the company. First, ArtiClic clearly displays the actions in progress and to do on the quotes and invoices. The benefit of ArtiClic is to be able to work anytime and anywhere thanks to an Internet connection and your username and password. This allows craftsmen to make the most of their time in and out of their office. 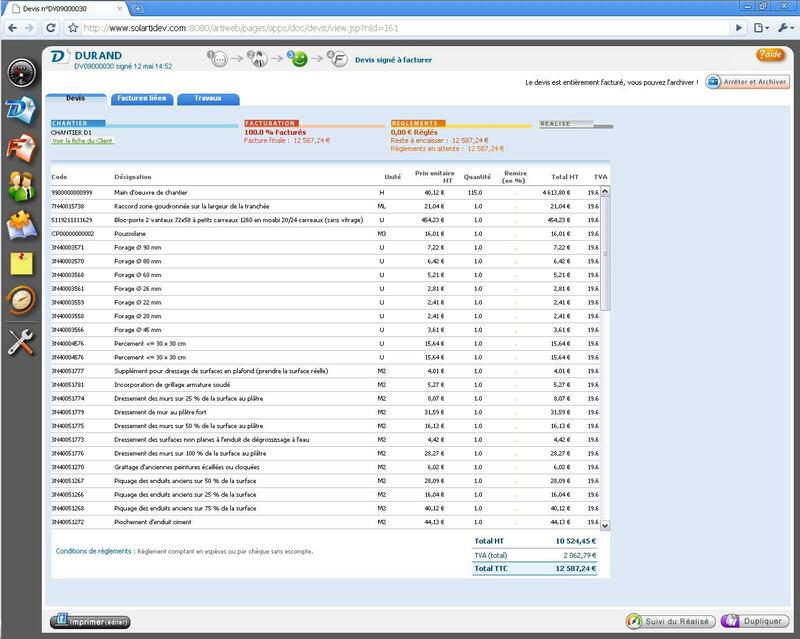 The user's personal notes as well as recent activities on quotes, invoices, and customer records are displayed on the right-hand side of the screen. The editing and follow-up of quotations and invoices is done in this same space. In the case of a company with several employees, they can work in turn on the documents. The contact manager (prospects and clients) is accessible by all employees and lists individuals rather than companies which better suits a "business-specific" business relationship. ArtiClic also offers a knowledge base (Annual Membership) that the company can customize with its own reference documents. The software is easily customizable thanks to the dedicated interface. The application administrator can modify the company's information, create users, export data, manage the price list, customize quotes and invoices, modify the VAT rate, or adapt the terms and sonditions on your invoices, modify the VAT rate, or adapt the terms and conditions of your business.